I have been waiting for fresh borlotti beans to try this recipe again! If you don’t have fresh beans use 300g dried borlotti beans soaked for at least 12 hours. Place the beans in a deep pan and cover them with cold water. Throw in the garlic, herb sprigs, bay leaves, celery stick, potato and tomatoes. Place the beans on the heat and slowly bring to the boil. Cover with a lid and simmer very gently for about 45 minutes or until the beans are soft and cooked nicely. When the beans are cooked, drain them in a colander, reserving enough of the cooking water to cover them halfway up when put back in the pot. remove the garlic, herbs, celery, potato and tomatoes from the beans. Squeeze the garlic cloves out of their skins and pinch the skin off the tomatoes. Put the garlic, tomatoes and potato on to a plate, mash them with a fork and stir back into the beans. Season well with salt and pepper and pour in three generous glugs of extra virgin olive oil and a few splashes of vinegar. Stir in the parsley and serve on some toasted sourdough bread. 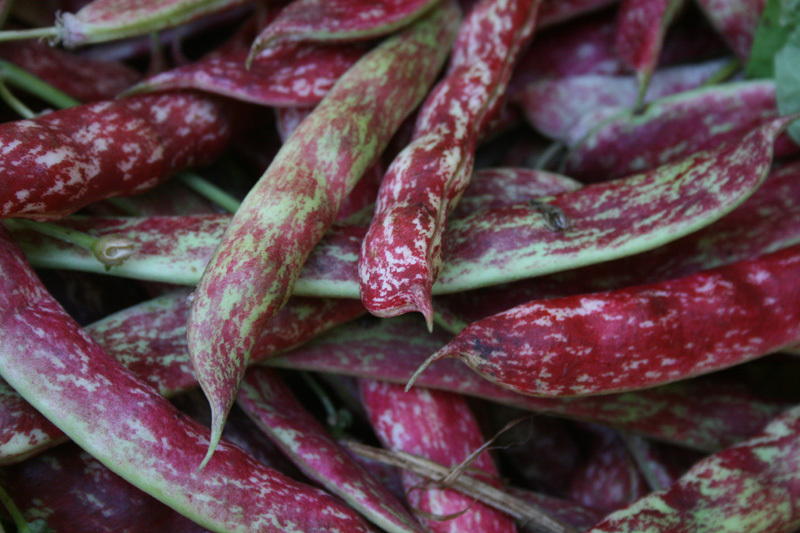 These Borlotti beans have been dried on the plant, in much the same way as is done in warmer climates. As a result they will need to be soaked prior to use. I too have been waiting for these little beauties! !